Federation Heritage Items listed under the NSW Heritage Act. 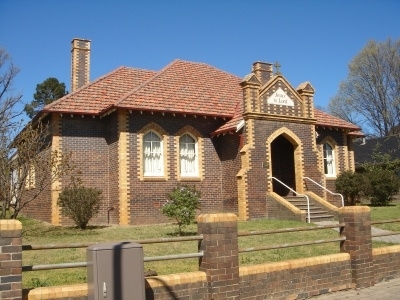 Federation Heritage Items listed by Local Government and State Agencies. 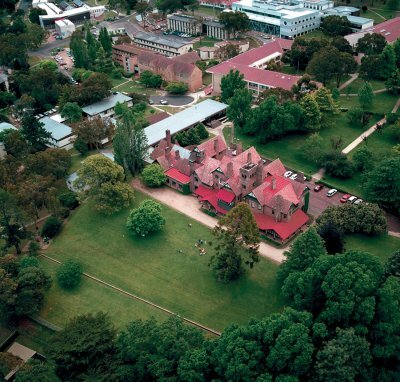 Armidale has long been known as an educational and cultural centre. It is home to the University of New England and several private boarding schools. Australia’s New England stretches from the Hunter Valley through to the Queensland border and incorporates the Hunter Valley, the Mid North Coast, the Northern Rivers, and the New England Tablelands, Slopes and Western Plains. The New England region is renowned for its world class fine wool and beef production, and Armidale is home to at least 14 different Cattle Breed Societies. The region is also developing a reputation as a producer of high quality wines. For those seeking solitude and relaxation, the region offers many areas of scenic wilderness. The numerous National Parks of the region cover a wide variety terrain from quiet mountain heathland to spectacular gorges and impressive waterfalls. Most are within easy reach of Armidale for a day’s outing. buildings and fascinating museums and galleries. The New England Regional Artmuseum houses the Hinton and Coventry collections which are the envy of national institutions. The Aboriginal Cultural Centre and Keeping Place features indigenous art, craft and artefacts. 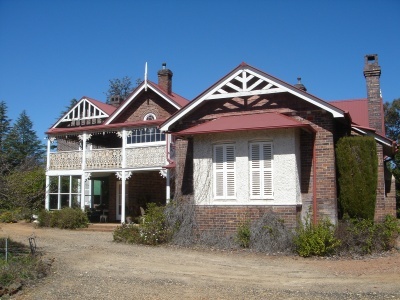 The Armidale Visitor Information Centre conducts daily tours (staffed by volunteers) of Armidale taking in a number of museums and heritage buildings, including the historic Booloominbah homestead at the University of New England. Tours depart: Visitors Centre, 82 Marsh Street, at 10:00 am 7 days a week (excluding Christmas Day, Boxing Day, New Year’s Day, Good Friday and Anzac Day); Duration: 2 1/2 hours. Cost: free – donations welcome. Bookings are essential on 02 6770 3888. 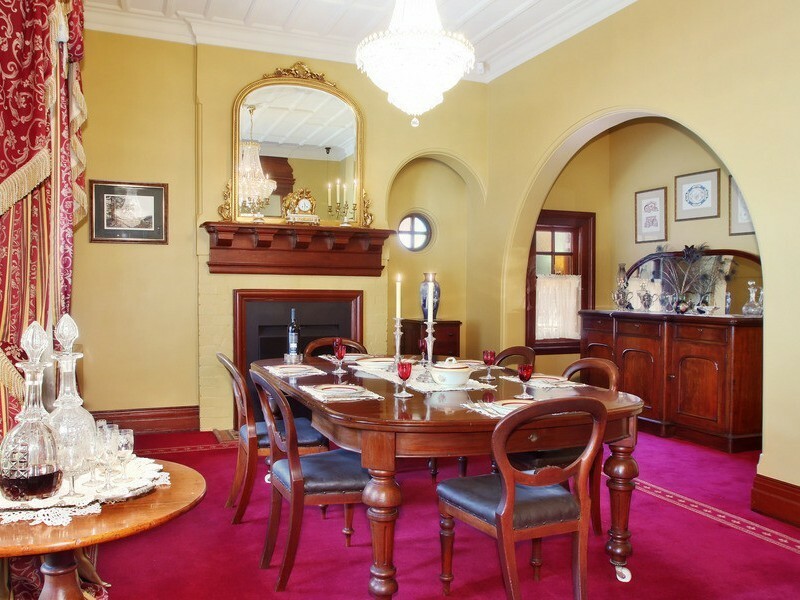 Booloominbah boasts four reception rooms, billiards room, business room, smoking room, five principal, seven secondary bedrooms, two dressing rooms, boudoir, four bathrooms, lavatory, night and day nurseries, together with reception and stair halls on a considerable scale. As well there are two secondary staircases. The house’s design by Australian standards is extremely avant-garde and smart for its date of 1883-8. The artistic house made popular in England with teaching of William Morris and the Pre-Raphaelite brotherhood was not built in Australia much before the 1890s, except perhaps in cases where fashionable clients had their houses designed in England, e.g. Alton (1882) in Victoria by J.P. Seddon, and Caerleon in N.S.W. (1887) by Maurice B. Adams. Ten hectare grazing property with a 30 room Edwardian mansion, gardens and 15 other farm and other buildings. Mansion has its original furnishings, some 6500 house collection items, a futher 3500 or so farm collection items. The structure is a large two-storey brick residence. The elevations are a symmetrical. There are gabled projections on the north- east and west elevations with two storied verandahs between. The house consists of two sections; a family accommodation wing to the north and a service wing to the south. The latter is built around a courtyard. The family wing contains on the ground floor two large rooms-drawing room and dining room and five smaller rooms used as an office, bedrooms and sitting rooms. It also contains a wash room and bathroom. These front rooms open onto a central hall, while the back rooms open onto a crosshall. 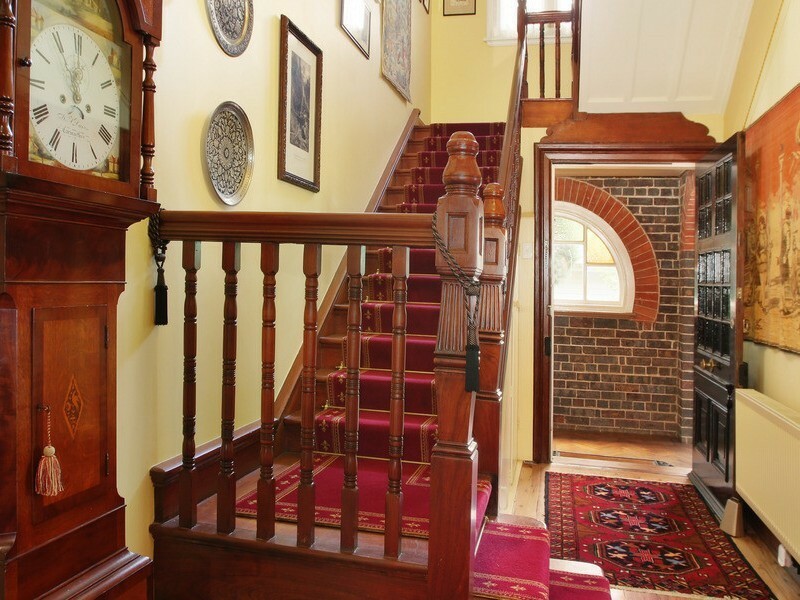 An elaborate Edwardian staircase opposite bedroom leads to the first floor. The first floor plan largely reflects the floor below and contains eight bedrooms, bathroom, a separate lavatory, a linen room and en suite off the main bedroom. On the southern side of the house is the two- storey service wing containing pantry, kitchen, scullery, laundry, and staff dining room and boot room on the ground floor. On the first floor is the present caretaker’s accommodation consisting of two bedrooms, sitting room, bathroom, a small kitchen and verandah. Under the pantry and servants stair is a cellar with exterior access. On the east side of the central service courtyard is a single storey wing containing a store and small kitchen. 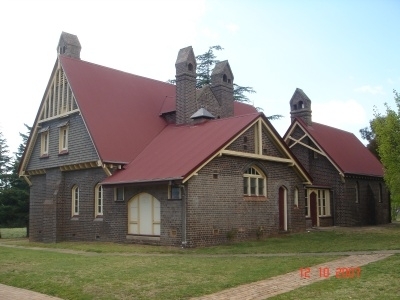 The Anglican Cathedral Church of St Peter Apostle and Martyr Precinct is of state heritage significance as the first cathedral constructed in the regional colonial outpost of Armidale to serve the religious needs of the expanding settlement and population. 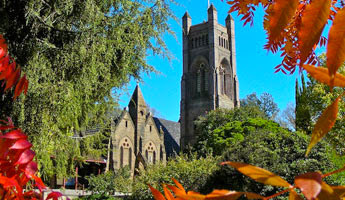 The cathedral would also become the centre for the Diocese of Armidale and Grafton (created in 1863, this was one of the first dioceses to be established outside of Sydney or Newcastle). 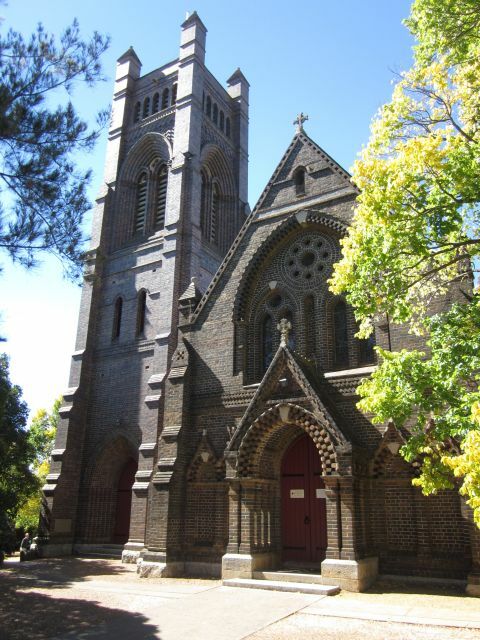 Today, the cathedral continues to be the centre of the Anglican Diocese of Armidale. Built and opened for worship in 1875, the cathedral was a collaborative design by the prominent architect John Horbury Hunt and Bishop James Francis Turner. The cathedral design used expressed and unadorned brick (a common and under appreciated material at the time) to create layers of patterned courses with a single flying buttress, arching, toothing and moulded brickwork. The final achievement was an intricate, elaborate and imaginative building that was distinctly different from the traditional church form and character of the period. While not a large building, the cathedral was the first significant brick church construction of John Horbury Hunt and is regarded as being one of his finest works. 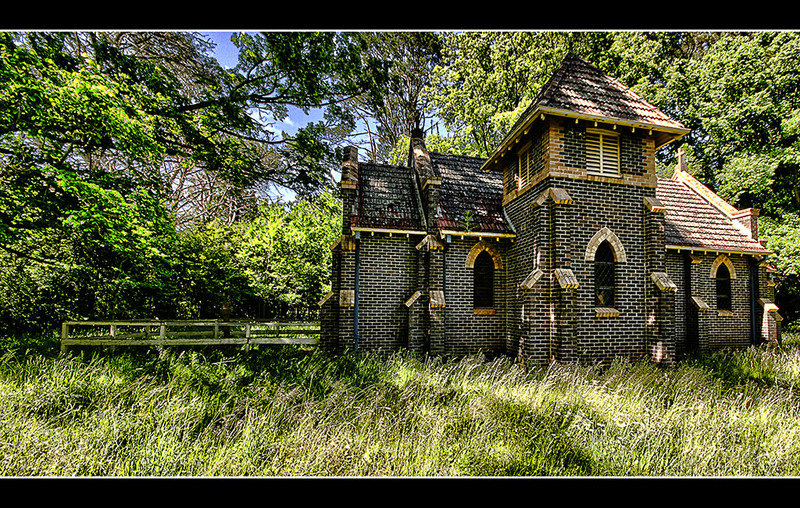 Hunt and Turner created a building that was “unlike no other (sic) Gothic building that existed in Australia in the 1870s” (Newall & Dawson, p1). Large, attractively styled, twentieth century building. Typical 1920’s design. Two storeys, with high pitched tiled roof. Dark local brick. Upper storey mostly rendered. One all brick section with parapet gable. Materials: Face Brick, Rough Cast Render. The main Police Lockup and Keepers Quarters building designed by Walter Liberty Vernon, government Architect (1890-1911) in 1901 is prominent on the corner site, its architecture demonstrating both functions, of Lock-up and Keepers quarters typical of Police buildings of the time. The building is of aesthetic significance as a Federation era Station in the arts and craft style and of a domestic scale and design. It is of quality construction, typical of important Federation buildings of the period built of brickwork with sandstone trim, high quality timber joinery, teracotta roof tiles, and picturesque chimney’s. 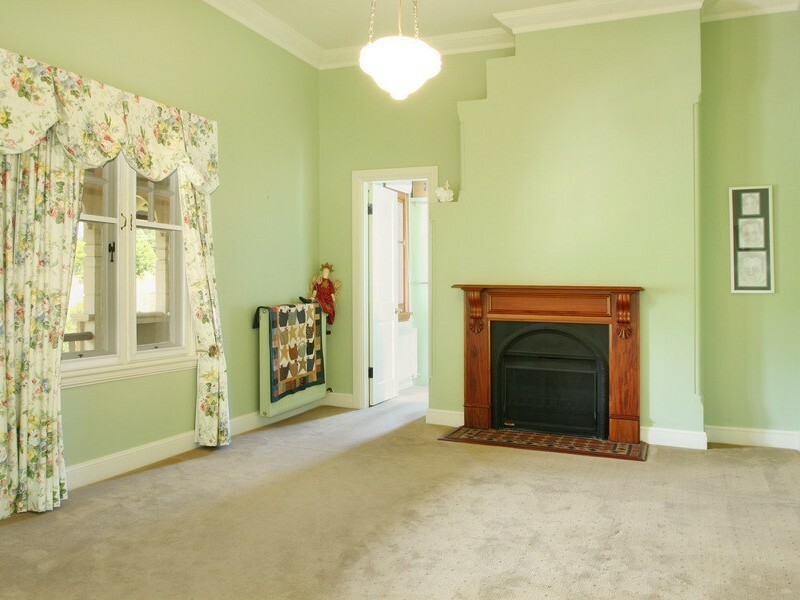 Original two storey building has colonnaded verandah and balcony added. Dark face brick with rendered bands and stucco mouldings over openings. Slate roof replaced by terra cotta tiling. Stucco eaves brackets. Integrity good except for rendering of facade behind projecting verandah and balcony. Colonnaded verandah is fully rendered with stucco mouldings. Balcony area above is brick with smaller arches. Front section is well integrated with original and linked by continuity of hipped roof. This is the only old building on the Racecourse property of any interest. It is a neat, two-storey, Federation style building. The bellcast, gambrelled roof continues down over the double verandah. The verandah is all timber with square columns, simple brackets and a slatted balustrade at balcony level. Old photos show that originally it had a pediment that was a continuation of the original front wall of the building. All brick. White painted, Queen Anne style doors and windows. Glass viewing area at first floor level appears not to have original form. Let down only by new brick addition at side. Set in attractive grounds forming the racecourse proper. Materials: Face Brick, Corrugated Iron. 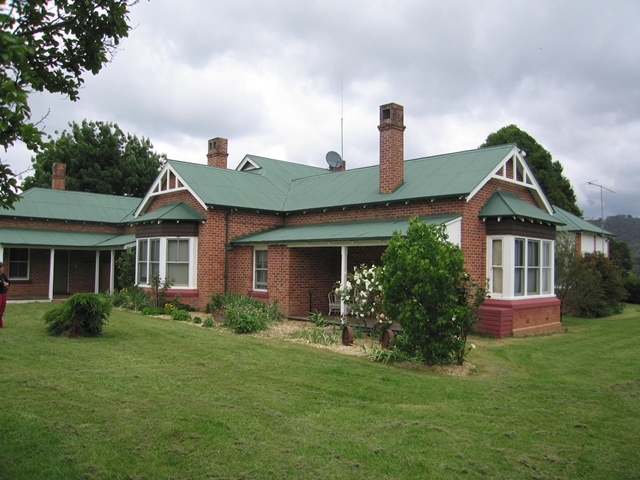 The house is a good example of the Federation style and demonstrates many of the key aspects of the style such as the blue brick construction, complex roof form with shingled gables, timber and cats iron verandah detailing, and timber double hung windows and timber panelled doors. The garden is a good example of a Victorian layout with gravel driveway and paths, terra cotta garden edging and urns at entry steps. The building is single storey and symmetrical constructed of polychrome brickwork with outstanding detailing, and a complex, steep pitched hipped, terra cotta tiled roof with 2 projecting chimneys. There is a central projecting porch with supporting brick buttresses and gothic arched entrance and detailed gable parapet with pediment feature. The windows are timber framed double hung with gothic arched heads with a central mullion to the top sash only with surrounding margins in polychrome brickwork. Materials: Polychrome Brickwork, Terra Cotta Roof Tiles. Outstanding institutional building. A fine example of a Post-Federation Gothic style. The building is single storey and rectangular in shape. It is constructed of timber weatherboards with timber windows and doors and a corrugated iron roof. The roof features a dominant gable at the front, a vented gambrel and is hipped to the sides and rear. The windows are typical of Federation style with vertical mullions dividing the panes. 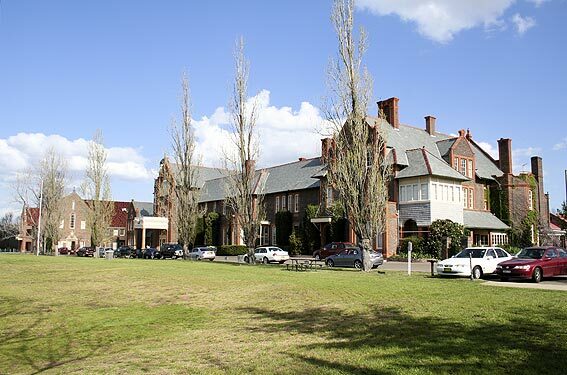 In 1912, well known Armidale architect, William Henderson Lee called for tenders for the new CBS at Ebor.The existing single storey timber building in 1913 at a cost of £2,000 (a considerable sum for the time). It had sixteen rooms, water, and “improved gas illuminant”. 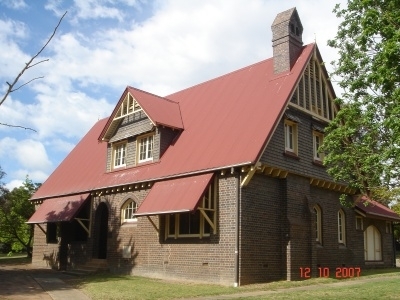 The building dates from the key period of development for Armidale which was originally part of Anglican Church group and within the important, larger, central, ecclesiastical precinct. It makes a strong contribution to the streetscape and Heritage Conservation area. Simple, early 20th century, ecclesiastical building of local community interest. Large brick building featuring ecclesiastical styling. Dark local brick, tuckpointed. Gabled roof forms, clad in corrugated iron. Limited decoration includes Gothic arched windows, timberwork to gables and white painted caps to buttresses. Built c1919. First used for Sunday School and community purposes then used as Anglican Church hall until 1960’s. Since then has been a pre-school and currently commercial offices. Adapted into offices in 1996. Stunning historic country homestead with gardens, farm buildings and a cafe giving you an insight into rural life in the 1800’s. Available to the public for tours, weddings, functions and events. This ten-hectare grazing property was first inhabited by British settlers led by Henry Dumaresq in the 1830’s. 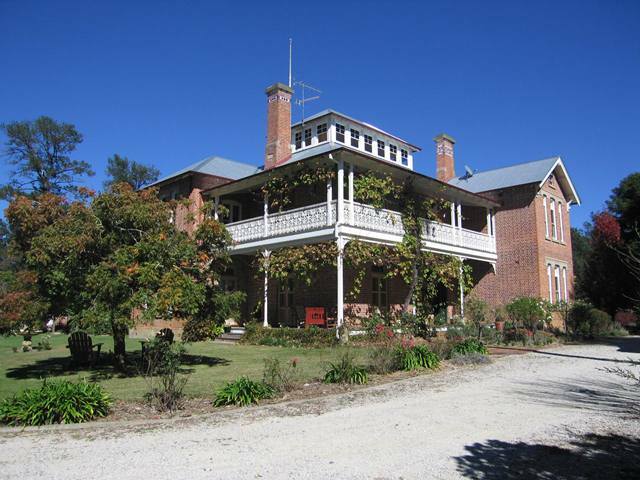 Today it includes an elegant, extensive, fully furnished Edwardian homestead, built between 1888 and 1906, and 15 farm and other buildings dating up to 1910, with their collections of early farm equipment. Historically Saumarez is one of the most significant properties in the New England region, having been associated with an original squatting run of Henry Dumaresq and for then having been owned anddeveloped by the eminent White family for over a century. Aesthetically the grand scale of the composition and the unusual ground floor and first floor design on the gable ends is rare regionally and typifies the design skills of eminent Hunter Architect, Pender. Take a guided tour through the White family’s 30 room Edwardian mansion complete with original furnishings. Stroll through Mary White’s garden, with its Edna Walling style cottage garden, the picking garden and the lawns. Visit outbuildings complete with 19 th century tools and equipment. Allow at least half a day to see this extensive property, and experience 19 th century pastoral life. Weekends and public holidays 10am-5pm to all visitors. Entry to interior of homestead by guided tour only (10.30am, 2pm and 3.30pm weekends and public holidays except Christmas Day & Good Friday). Highly individual, asymmetrical, early twentieth century semi-detached. One of the best local examples of a non-standard Federation design. Features many details of special note. Little altered. Outstanding, later style Federation semi-detached. Probably c1915. A symmetrical design. Complex, corrugated iron roof. Jerkin head projection to verandah of No 88 of special note. No 90 has narrower frontage and features unusual and parapet. Brick dado, fully rendered in pebble-dash above. 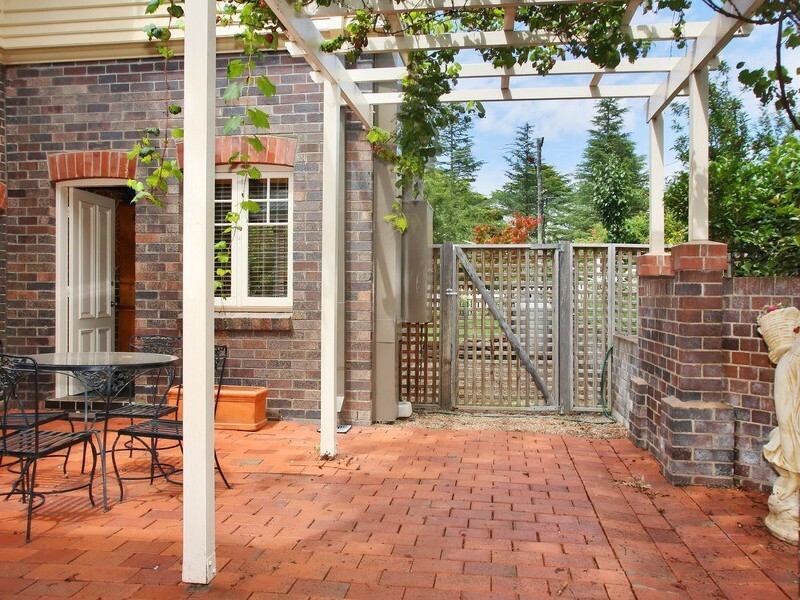 Good brick balustrades and piers with bracketed verandah posts above. Exposed rafter eaves. The building is a very good example of a timber Federation cottage, essentially unaltered. 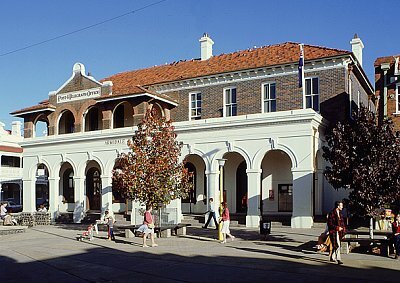 The building dates from they key period of development of Armidale and makes a positive contribution to the streetscape. Good example of timber Federation house. Symmetrical except for verandah return down northside. Probably had matching return to south side originally. Gambrelled corrugated iron roof with two large, front facing gables above skillion verandah. Door located in central recess with small gable to verandah in front. Original door, with sidelights and skylights, of special note. Verandah supported by stop chamfered posts with carved brackets. Imitation stone pattern boarding. Below verandah. Also of note are moulded window architraves, turned inset (one window only) and under-sill decoration. Good picket fence, probably original. A good example of a timber Federation house. The diagonal plan and corner splay were characteristic of the style and this is a good local example. No major alterations apparent. Very good, Federation style, weatherboard house. Complex roof form. Basic diagonal plan arrangement with gables to two elevations. Splay corner withy ingle-nook, of special note. Gablet above. Shingling to gables and gablet. Window hood below Faulkner Street gable. Skillion verandah returns down one side, around inglenook. Simple posts and brackets. Now has attractive lattice balustrade, possibly original. “Birida”, Brown Street, a Federation house built in 1907, and now divided into flats. Probably the best of all the City’s surviving Federation houses. Most attractive example of the period, displaying an Arts and Crafts influence. Some outstanding detailing. Despite some unsympathetic alterations remains essentially intact. Remnant Edwardian garden and camphor laurel tree. Notable in streetscape. Outstanding Federation mansion. In good condition except for replacement and enclosure of verandahs. Basic form and all other detail retained. Complex form with multi-gabled roof. Outstanding feature is squat brick tower over arched entry, and projecting gabled element beside. Rounded bays on both frontages, with decorative timber to gables above. Of particular note are unusual wrought iron eaves brackets, and timber to gable. Extensive use of pebbledash render reveals Arts and Crafts influence. Patterned slate roof with terra cotta ridge capping. Remnant Edwardian garden with front gate and gateposts. Fence removed. Brick plinth remains as retaining wall. Large lawn. One of the City’s Federation style homes. Features many interesting architectural details. Important associations with the Richardson family, well known architect and builder. Fine trees and picket fence of Late Victorian/Federation character. Landscape elements also of importance in the streetscape. 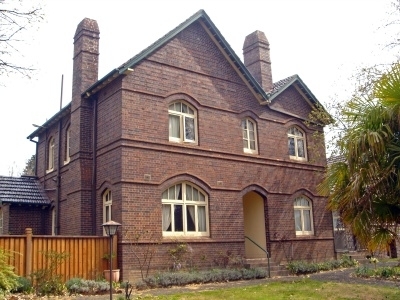 Grand Federation house spoiled by verandah enclosures, replacement of minor detail and part painting of brickwork. Also has new garage under construction (1990) which will partially obscure views of main building. Integrity otherwise good and remainder capable of remedy. Roof is essentially bellcast with gambrels. Feature gables on three elevations. Verandah also returns down each side. Columns are of Wunderlich metal over timber. Simple timber balustrade, with diagonal infill near steps (original). Recessed entry with magnificent arched brick doorway. Smaller front gable, over bay window, is shingled. Larger gable extends out over section of verandah. It features outstanding decoration, incorporating large spindles. Original door with sidelights and skylights. Excellent strap work chimneys. 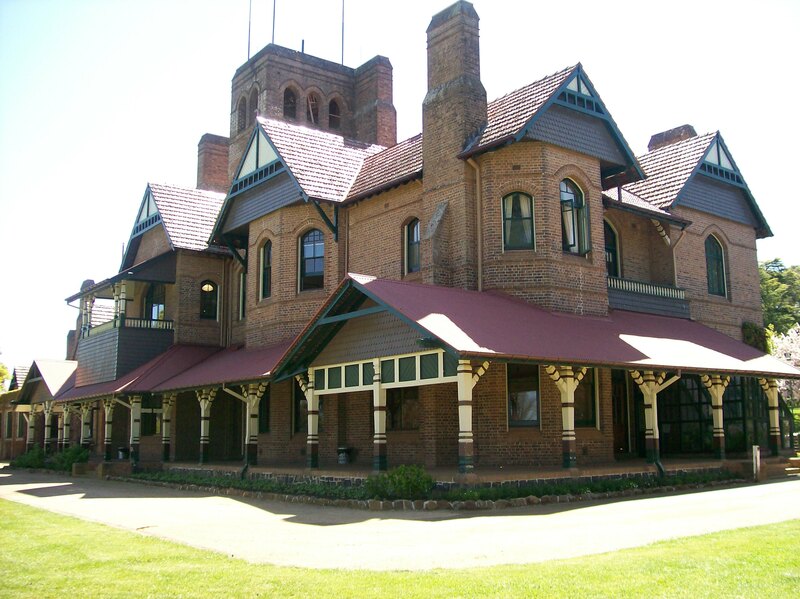 Built 1895-6 by George Nott, well known Armidale builder, for Russell Richardson, owner of Richardson’s, Emporium. Land purchased from FS Chard who subdivided his block, centred on “Mongoola” (see item 0118). Architect, William Henderson Lee. Period: 1891 – 1920. 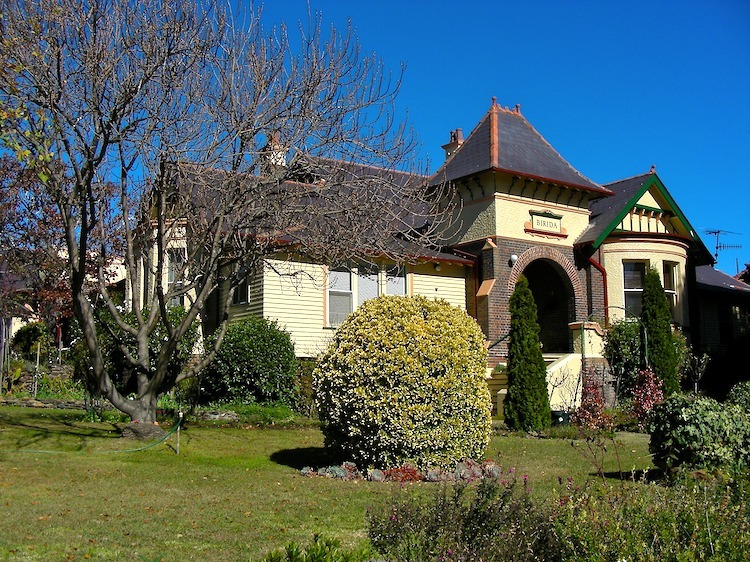 One of Armidale’s best surviving, early twentieth century houses. A distinguished individual design, quite well preserved.Also retains its original, extensive grounds. 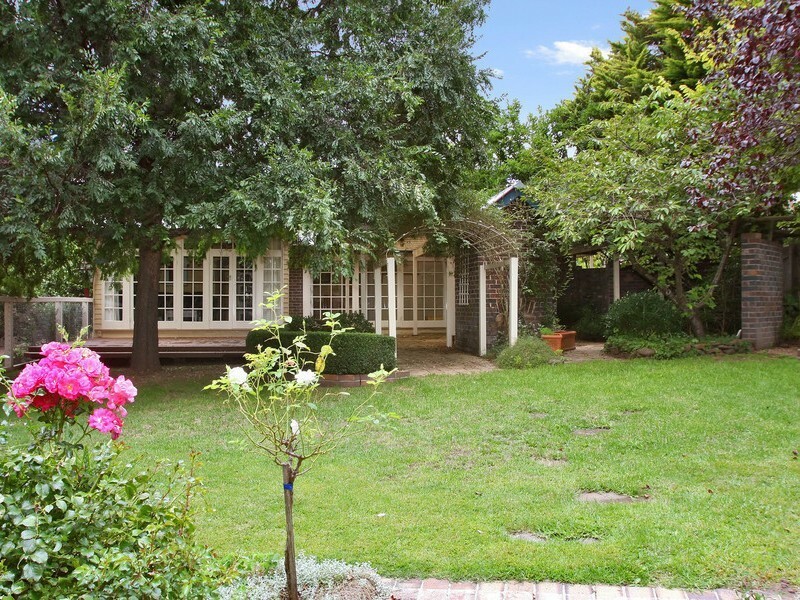 The house dates from the key period of development for Armidale. Federation garden of fine lawns, magnificent boundary planting, hedge and fine gates. Detailed planting in beds, and beautifully maintained gravel drive and paths, make a remarkable setting for this fine Federation house. Grand, corner, Federation style house. 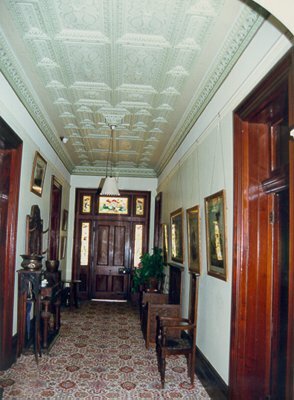 Mouldings and cast iron decoration are transitional features from the Victorian period. Most attractive, dichrome local brick. Corrugated iron roof. Main roof gambrelled with front gabled projection. Also has gable to one side (Taylor Street). Bullnosed verandah on three sides. Follows form of main building, including bay below gable. Excellent castellated parapet to bay. Cast iron verandah posts with elaborate lacework balustrade, brackets and valence. Attractive timber and rendered detailing to gables. Original windows and doors. No major alterations evident. Original picket fencing with iron gates. Fence is splayed for central gate. Well planted grounds. Materials: Face Brick, Stucco Detailing. A secluded residence surviving in its original, landscaped, semi-rural setting, complete with outbuildings. Special architectural interest as an individual, late nineteenth century design, with well integrated later additions. Historical associations with important local citizens, including Bradley and Tindal. Bradley in turn connected with the important theme of education. 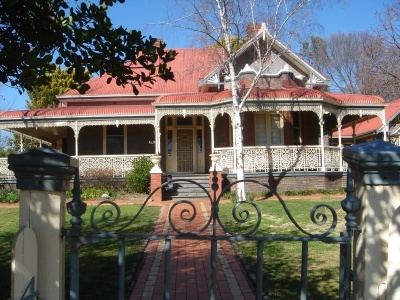 Typical of the homes of Armidale’s affluent citizens of the era. Impressive, late nineteenth century, brick residence. One and two storeys. Complex form, not belonging to any particular style. Hipped and gabled iron roof. Double verandah below central gable, now enclosed upstairs. Iron lace balustrade, brackets and valence. Three gables, each treated differently. Some very good timber decoration. Gable over single storey projection has hooded bay below. Some unusual fenestration. Decorative brick chimneys. House set back from road, and in well planted gardens (see separate form). Bushes and vines cover parts of the building itself. Interesting outbuildings include glasshouse, raised tank stand, timber stables, large barn adjacent and two workers’ cottages. Front gateway of special note including gate, posts and pickets. There is a second gateway which has no picketing. Building not inspected closely. Materials: Face Brick, Corrugated Iron. Number of Stories: 2. Style: Late Nineteenth Century. Booloominbah holds State aesthetic and technical heritage significance as one of the earliest and largest uses of domestic Arts and Crafts style in Australia. Plans for the house were drawn by John Horbury Hunt in 1883 and building was completed by 1888, 20 years before the style became widely popular. 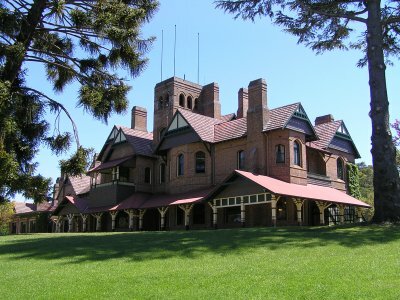 Booloominbah’s architectural style is pre-dated by only a few houses, such as Alton (1882) in Victoria and Caerleon in NSW (1887), which were designed in England. It is therefore an early Australian-designed example of domestic Arts and Craft style. 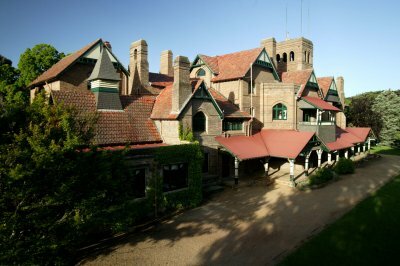 Booloominbah possesses State aesthetic and technical heritage significance in the innovative manner in which Horbury Hunt adapted the country house form and Arts and Crafts style to Australia’s climate. 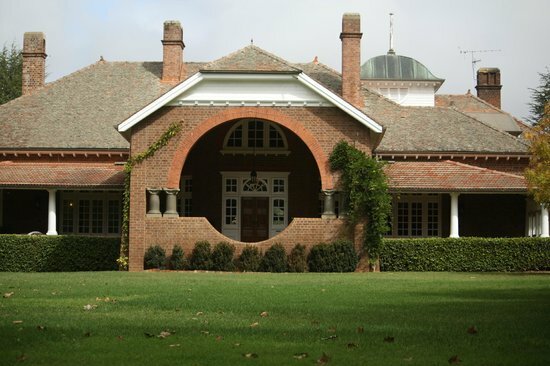 Hunt sympathetically incorporated verandahs, particularly evident on the southern elevation where the simple horizontal verandah provides ample shade in the summer, while contrasting with the vertical gabling of the roofline. Aesthetically the verandah adds to the State significance as the most ornately decorated example of Hunt’s work, with a skirt of shingles and highly visible and beautifully executed wooden grotesques on the beam ends. and decorating firm in displaying the wealth of the client. The house contains one of the largest collections of Pre-Raphaelite and early Australian flora and fauna motif stained glass. The centrepiece of the collection is what is commonly referred to as the Gordon Window. Located in the entrance hall, the window depicts seven scenes from the life of General Gordon, who became a Victorian hero during the Taiping Rebellion and Crimean War. The window was made by Lavers, Barraund and Westlake, a British firm and was probably commissioned in 1900-1. The remaining windows were supplied by Sydney firm of Lyon, Wells Cottier & Co. and were chosen to reflect the use of the room, English farming scenes and traditional meats in the dining room, for example. Andrew Wells, of the aforementioned firm, designed and painted the interior decoration and Booloominbah is an excellent example of his ten year Australian career. “Trevenna” is clearly representative of the domestic architecture of Hunt. The residence has been designed in a unique style at a time when residential design was trying to break free of the Georgian mould. The design features include natural local materials of timber, rock (basalt) and brick. There are aspects of the design that reveal the innovative and unusual nature of Hunt’s work such as the number of different arched openings that are located at random internally and externally without consideration of a theme or relationship to each other. “Trevenna” clearly demonstrates National significance due to its association with John Horbury Hunt and its ability to assist in the understanding of the history of Australian architecture. The ability of “Trevenna” to contribute to the understanding of changes of changes to the social structure in rural Australia combined with the condition and integrity of the place clearly demonstrates a high degree of regional and local significance. planting of cypresses, redwood, oaks and elms. Landscaped grounds from the 1890’s in the English gardenesque tradition including mature exotic species providing impressive vista from house to city below. Trees include Himalayan cypress, pines (radiata, stone and canary island), oaks and elms. Sunken garden and period tennis court add to the elegant setting of the fine Horbury Hunt designed house. Virginia creeper growing on walls of house. The grounds are considered to have regional significance. “Trevenna” is highly significant for its close association with the life and work of John Horbury Hunt. A number of Hunt’s noteworthy buildings, both domestic and public, were built in the New England region around the time of “Trevenna’s” construction, including arguably his most important domestic work – “Booloominbah”. The proximity and relationship of “Trevenna” to “Booloominbah” enhances “Trevenna’s” significance. The residence is located within the original curtilage of “Booloominbah” but at a respectful distance to maintain the privacy of both houses. The garden of “Trevenna” has many of the original plantings. Particularly the trees that are now well established and form a structural landscaped framework around the house. This framework is now missing from “Booloominbah”. 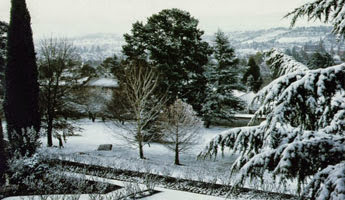 The “Trevenna” garden may reveal some of the strategies and landscaping features that could have also existed and been used around “Booloominbah”. 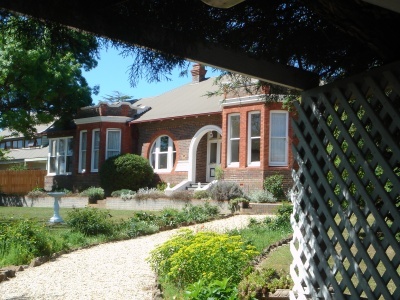 Petersons Guesthouse is an unforgettable experience of luxury and relaxation.Located at the award winning Petersons Armidale Winery, the guesthouse defines New England’s finest boutique getaway, offering seven elegant rooms. Building Materials: Terra cotta tile shingles, vertical brick chimney element, bell shaped turret, brick walls. 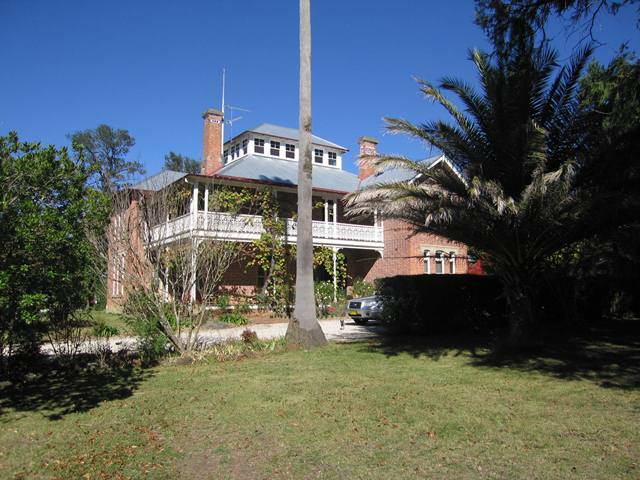 The building, grounds and property is of regional significance in evidencing the expansion of the Dangar pastoral interests into the New England area and the establishment of the family there in the mid 19th century. Aesthetically the design is of a type very rare in the region having been executed by an eminent Newcastle Architect. Socially the property has regional significance for its association with the early career of a Queensland Premier of the latter 19th century. 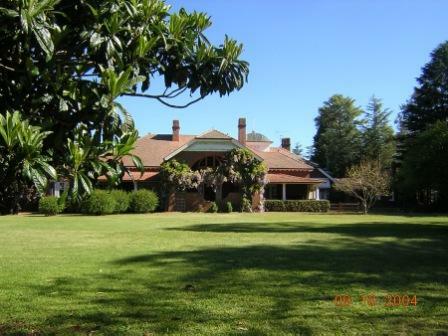 The current home and property have regional social significance for their continuous association with the pioneering Dangar family over a period of almost ninety years. One of the city’s better Late Victorian buildings, anticipating the Federation period in many respects. Probably an early example of a Norman Shaw influence. Historic interest as one of the former Doctors’ Row of houses. In more recent times closely connected to the important theme of tertiary education. Important member of CB Newling group. condition in a landscaped garden setting. 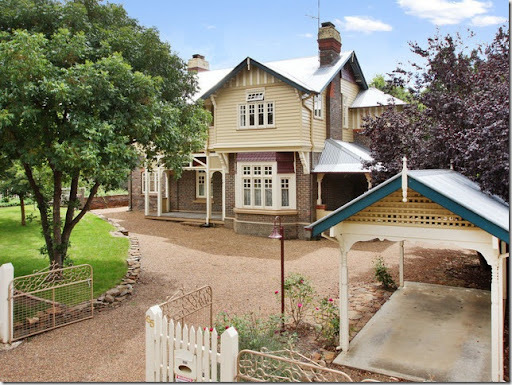 Typical of the homes of Armidale’s more affluent citizens, built in this period. Magnificent, two storey, late nineteenth century mansion. Hipped, corrugated iron roof, with interesting gabled roof detail above rectangular bay. Roof extends down over double verandah, which continues down one side. Liver brick. Flemish bond to front. Colonial bond to rear wing. Rendered base course, string courses and trims. Outstanding timber decoration to verandahs. Good balustrade incorporates small “criss-cross” elements. Sunhoods on the west side. Shuttered french doors. Front door with transom, toplights not original. Double-hung windows with large panes. House is set well back in large grounds. Sympathetic brick garage. Buildings now partly obscured by high brick fence. Materials: Face Brick, Corrugated Iron. 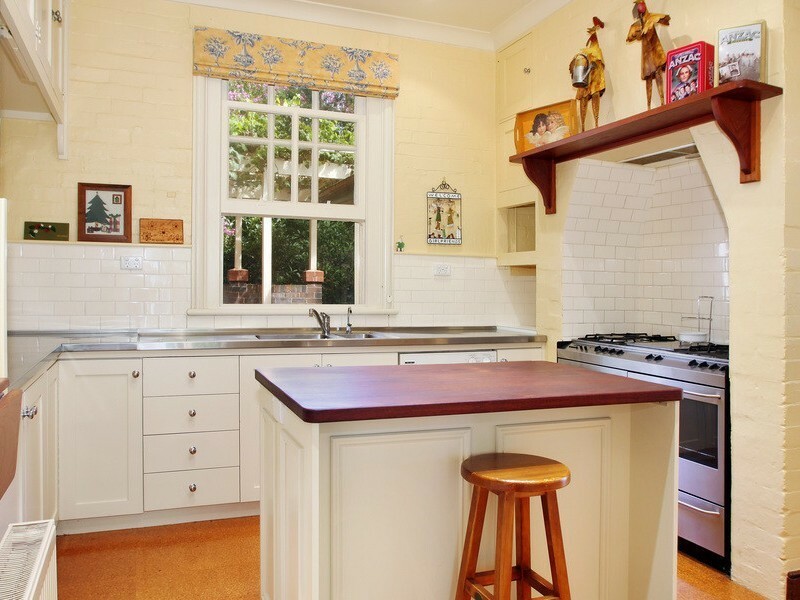 Built by Mark Roberts who with wife Sarah moved to what is now Short Street in South Armidale, where Mark built a two-storey house which they named “Wyevale’. 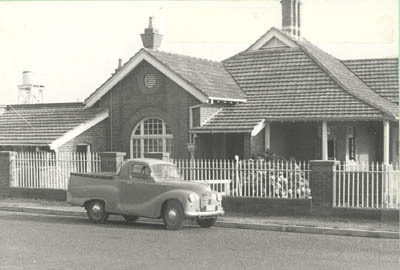 Their former house In 208 Markham Street then became known as “Little Wyevale’ and has been restored by Jennifer Johnstone. 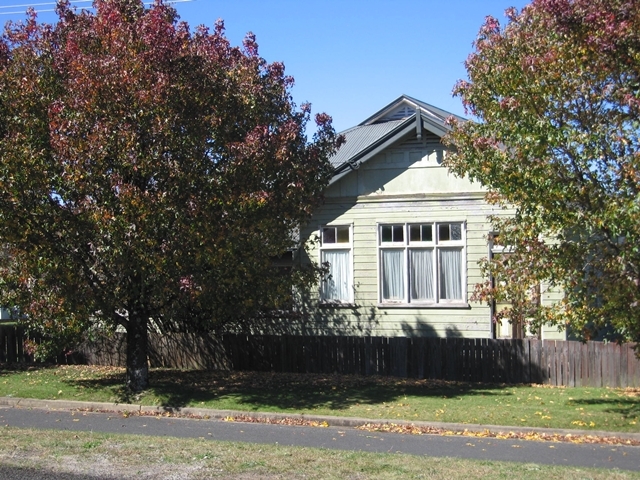 A large turn-of-the-century house with two storey section on street frontage. The building is symmetrical but of no particular architectural style. Simple gabled roof form of corrugated iron continues down to form skillion roof over double verandah. Dark local Armidale blue brick with white mortar of Flemish bond. Decoration generally restrained with simple timberwork detailing to verandahs. Windows have rendered sills and side windows also have rendered architraves. Good Edwardian style screen door. Large, well planted site. Materials: Face Brick, Corrugated Iron. The building is of architectural significance as an individually symmetrical styled turn-of-the-century 2 storey residence. 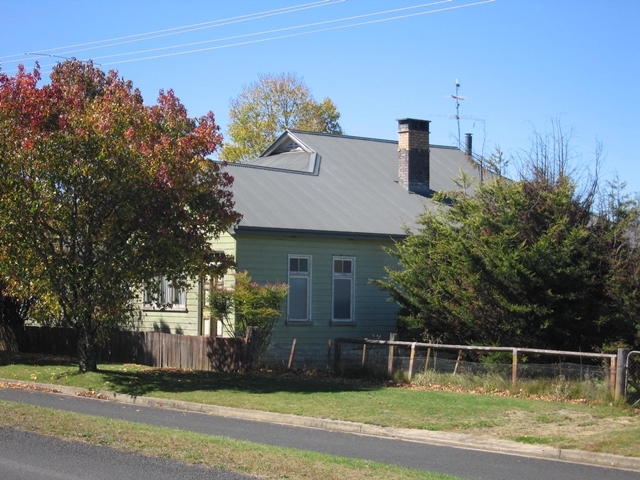 The building features key elements of the traditional Armidale house including being constructed of blue brick, with corrugated metal gable roof and timber windows and doors. One of the earliest houses in this area, only recently urbanised in a landscaped garden setting. 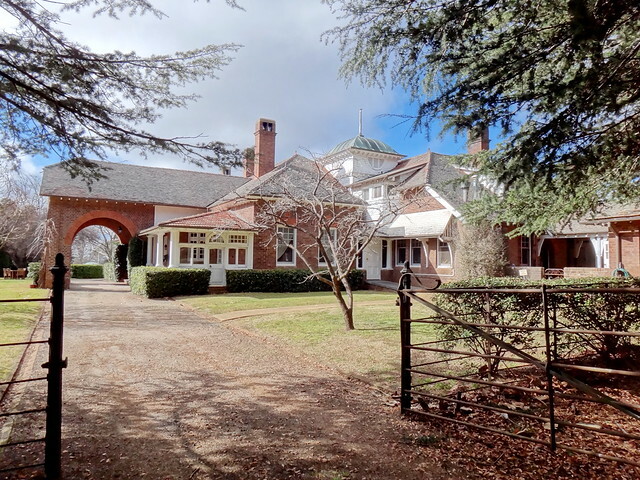 Among the houses built in Armidale by Mark Roberts are “Chevy Chase’, “Shannon’, Moore Park’, “Braebank’, and possibly “Soudan’ and “Bona Vista’. It is very likely that he also built other houses in Armidale. Large Federation house on the northern outskirts of the urban area. Complex plan and roof form. Bullnosed verandahs on eastern and southern elevations face in direction of best views. Weatherboard construction with iron roof. Shingled gables. Simple brackets to verandah. Decoration generally restrained. Good brick chimneys. Splayed picket gateway, with brick piers, on highway entry. Grounds densely planted, on highway frontage especially. Includes many large pines. Materials: Weatherboard, Corrugated Iron. An individual, Late Federation style, with Queen Anne influence evident. Probabaly c1915. All gabled roof form. 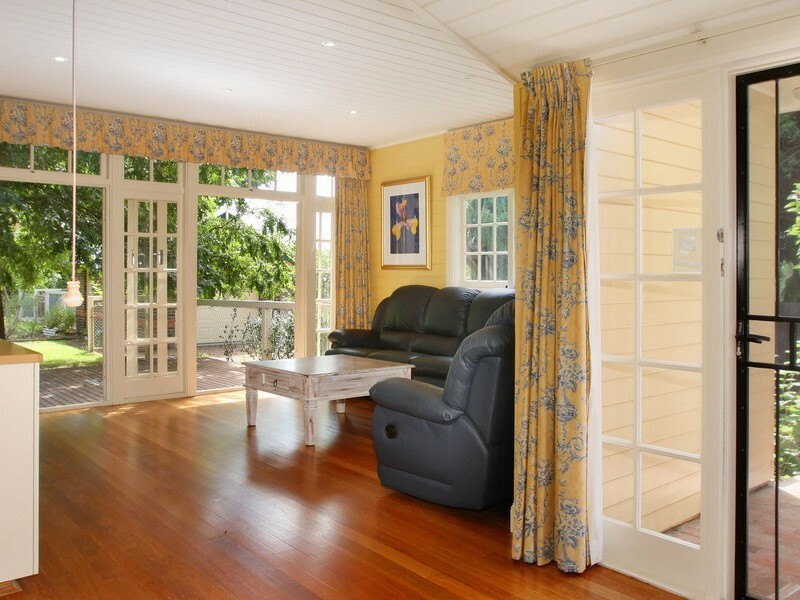 Good timber decoration to gables, verandahs and windows. Shingling used as decoration on some gables and window hoods. Good brick and rendered chimneys. Front door opening appears to have been closed up. No other alterations apparent. Sympathetic picket fence. Materials: Face Brick, Weatherboard. Grand, early twentieth century home on large corner site. Orientated to the north, not to either street frontage. Difficult to see from street due to high paling fence and planting. Adaption of traditional rectangular form. Slightly asymmetrical design. Outstanding individual features are the octagonal front projections, with castellated parapets (cf “The Turrets” and 84 Brown Street) and moulded cornices. High, corrugated iron roof with good brick chimneys. Dark local face brick articulated by fine, decorative, smooth and moulded render. Unusual verandah between projecting bays. Bricked in except for large arched entry and unusual, large, circular window. Original doors and double hung windows. No major alterations visible but spoiled by corner garages. Materials: Face Brick, Corrugated Iron. Victorian/Federation Filigree Building Materials: Brick with stone window heads. Corrugated iron roof. Cast iron verandah columns and detailing. Unusual carriage house and tankstand. Rendered brick grand entrance gates and grand driveway. Robert and Fanny Perrott settled in Armidale in 1860’s at Haroldstan when Robert was appointed Registrar of the District Court at Armidale. The couple had four sons whom they helped establish on pastoral properties in NSW and Queensland. 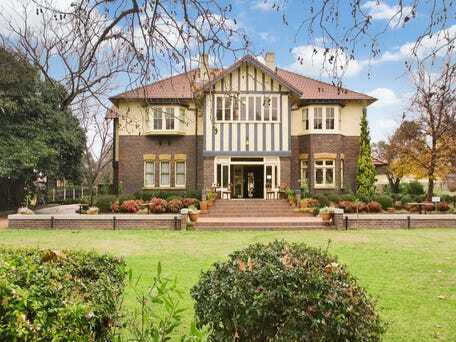 In the Armidale Chronicle 16/9/1908 it was announced that Armidale architect Hugh J Scott was preparing plans for a two-story brick residence at “Chevy Chase for Mr A. H. Perrott. This was Alfred, the Perrott’s second son, who was born at “Haroldstan” in 1863 and was living at “Enmore” south-east of Armidale, when he built “Chevy Chase” between 1908 and 1910.
facade to Barney Street, with full bay to one side only. Opposite side has bay at first floor only, supported by brackets. Both main facades feature a central gabled projection. Each has balcony and entry porch below gable. Main roof is hipped and tiled in terra cotta. Extensive use of pebbledash, with half-timbering to gables and balcony areas, suggesting a Tudor influence. In very good condition and little altered. Materials: Face Brick, Rough Cast Render. A very good example of 1920’s domestic architecture. A pleasing combination of Arts and Crafts and Bungalow influences. Historical interest as one of the former “Doctors’ Row” of houses. Now an important element in the CB Newling Barney Street group. Early Girl’s School and St John’s College buildings of particular interest. Complemented by other more recent buildings which complete the grouping. The building is a fine example of the Federation Arts and Crafts style and the work of prominent architect John Horbury Hunt. The building demonstrates many of the key elements of Hunt’s designs and has been little altered since it was constructed. It is one of the last buildings that Hunt designed prior to his death in 1904. Hunt designed a building originally consisting of a library, accommodation for students, a dining hall, and a kitchen. 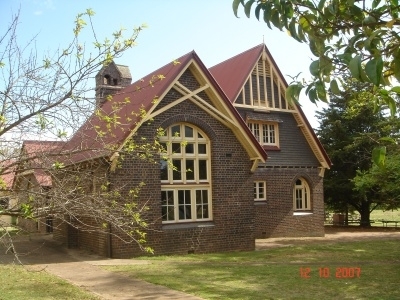 The building is asymmetrical and constructed of Armidale blue brick with a steep gabled roof which was originally slate. The second level is incorporated in the high pitched roof. Low eaved window hoods to front facade continue the roof form down, and make corrugated iron the dominant material. Large central attic with paired windows and shingled gable. Main gables to sides also extensively shingled, with vented apexes. Decorative timber trusses to all gables as well. Exposed rafter reaves. Recessed porch to one side. Pointed arches to porch entry and window beside. Side and rear openings also painted. All facades of interest. Considerable variation from one elevation to the next. This is emphasised by the juxtaposition of fine brick chimneys of different shapes. Materials: Face Brick, Corrugated Iron. The cathedral dates from the key period of development for Armidale and is a local landmark which dominates views from all vantage points. The building is an outstanding example of the Federation Gothic style and is architectural achievement of the early twentieth century and an important work for architect, John Hennessy of Sheerin & Hennessey. 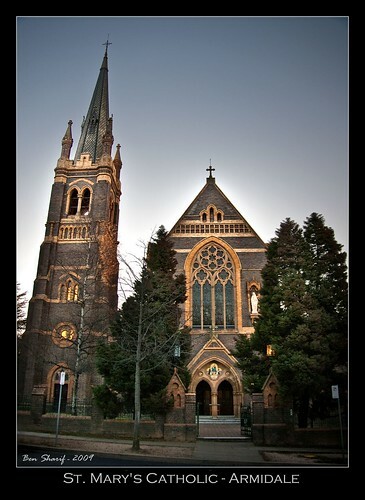 The building was considered the finest Catholic Cathedral in Australia when it was opened. Tall needle spire above corner tower is outstanding feature. Castellated top to bell tower with unusual minarets on corners. Apsidal chancel on opposite side with castelled parapet and conical spire. Local face brick in Flemish bond, with light brick used as decorative element. Elaborate brickwork decoration is one of the outstanding features. Stone also used with effect. Slate roof with gabled vents. Large, feature, stained glass window below front parapet gable. Excellent lancet windows on all elevations, mostly in groups of three. additions well integrated and part of the building’s history. All in good condition. Feature building in this significant school grouping. A finely designed and detailed early twentieth century chapel, designed by a prominent architect, and an important element in an outstanding group which makes a positive contribution to the streetscape. Two and three storey building with long facade. Strong Norman Shaw influence evident with elements of both the Old English and Queen Anne styles. Dichromatic local brick with steep pitched slate roof. Main facade broken by gabled projections and main entry. Series of single storey wings to the rear (south). Red brick used for quoining, string course and openings. Terra cotta used on plaques, copings and finials to gables. The decorative chimneys are especially reminiscent of a Shaw influence. The complex roof is further enlivened by the timber cupola and parapet gables. The condition of the building is generally excellent. Materials: Face Brick, Terra Cotta Roof Tiles. 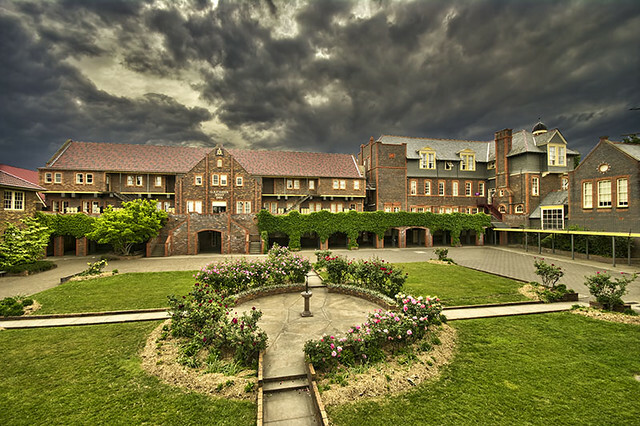 The Deanery dates from the key period of development for Armidale and the St Peter’s Cathedral group. It is a notable example of the work of prominent architect J Horbury Hunt and one of only a few church residences designed by him. 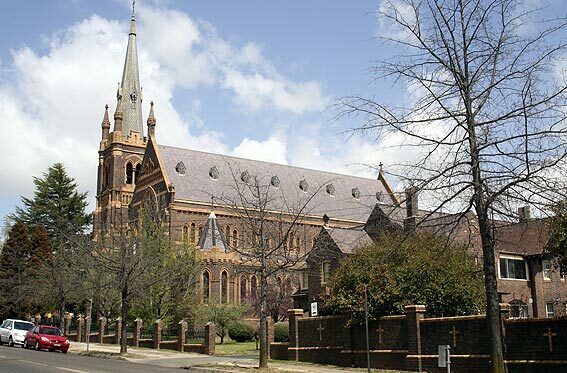 The building is an important element in the St Peter’s Anglican Cathedral group and the larger, central, ecclesiastical precinct which makes a strong contribution to the character of the City of Armidale. Physical description: Two storey domestic building in local dark brick, set in the grounds of St Peter’s Cathedral. Well screened from the street by large trees. Asymmetrical elevations. Gabled roof form, originally slate but now tiled. Limited decoration, mostly in brick, including string courses and truncated, pyramidal chimneys. Arched window openings. Materials: Face Brick, Terra Cotta Roof Tiles. 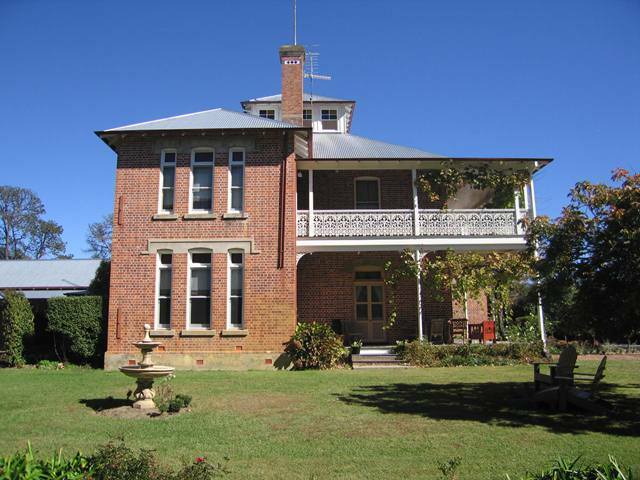 The property dates from the key period of settlement for the Armidale district and is a good example of a homestead complex, including a substantial house that demonstrates many of the key elements of the Victorian and Federation periods. The central portion of the house appears to be older than the verandahs and projecting wings. The roofing has been replaced. Some of the verandahs have been enclosed.